Mindshift make a couple of different padded inserts for their photography backpacks and this one is for the Mindshift Rotation 180 Panorama backpack. 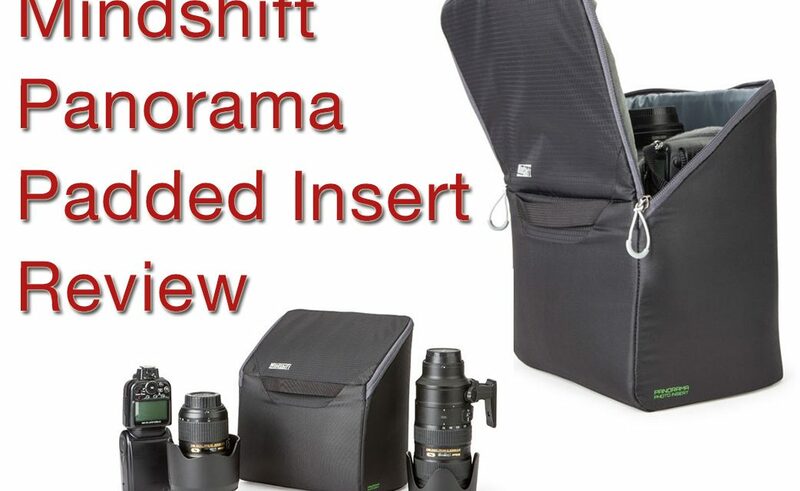 If you are looking for the padded insert for the Mindshift Rotation 180 Professional, you can view a full review here or see it on Mindshift’s website here. 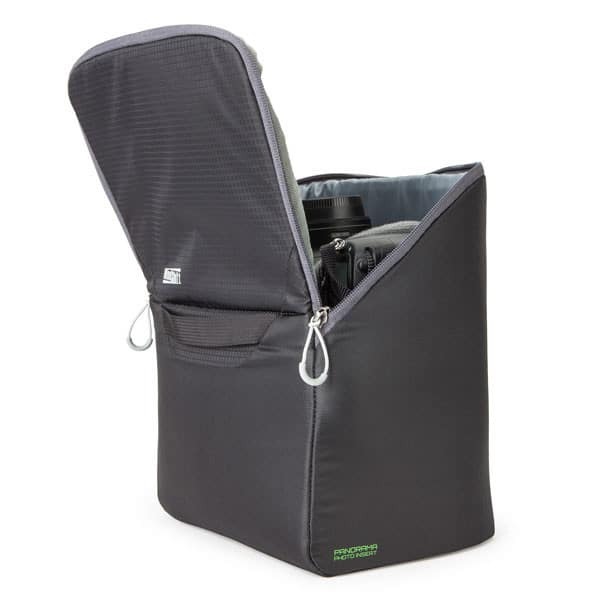 The Panorama back pack doesn’t have back panel access to the interior of the bag like the Rotation 180 Professional does so the accompanying padded insert also only opens at the top. 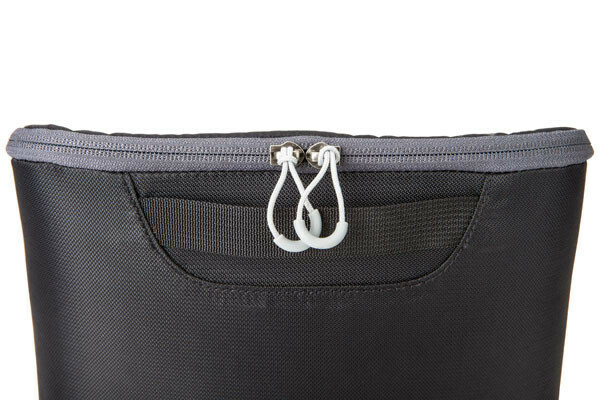 It opens nice and wide though so you can very easily retrieve your gear from inside without snagging it on the way out. The inside of the insert is light great as well which might seem trivial, but it makes it easy to find things like lens caps and filters when the light is fading at the end of the day. Some companies insist on using dark grey or black interiors which is utterly infuriating! You can fit a 24-70 attached to a standard sized camera, plus 2-3 other lenses. You can fit a pro body, but due to the reduced depth of the Panorama Vs the R180 Professional, you can’t leave a pro body attached to a lens. It’s also not big enough to have a 70-200 attached to a camera. The 70-200 will fit just fine though as long as it’s removed from the camera. The Panorama backpack will be available with or without this padded insert so the question for many people will be “Do I really need it?”. 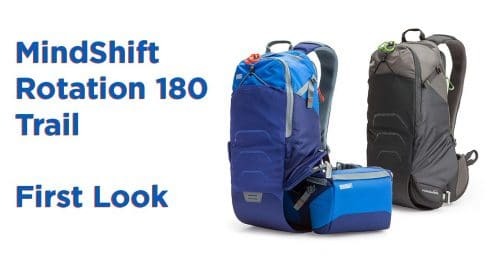 What makes the whole range of Rotation 180 packs so versatile is the ability to effectively split your gear into two distinct section of the bag. 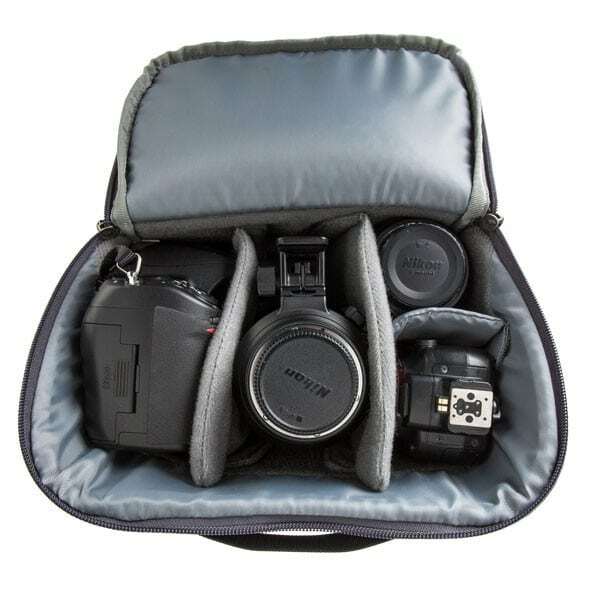 Photo gear always goes in the rotating waist belt and the top half of the bag is left for more gear of your choosing. Many people will choose to put clothing or food in this top half, as well as other outdoor necessities like maps or GPS devices and a first aid kit of some degree. 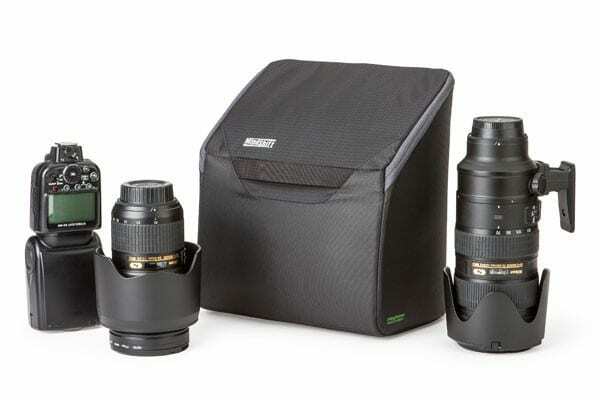 For anyone who just has a camera and one or two lenses, this will be the way you’ll work with this bag and you won’t really need to have the padded insert. If you have more than a couple of lenses though, and perhaps a flash as well, then I think there will be times when you want to take more photo gear then you’ll fit in the waist belt bag of the Panorama. If it was just one more lens, you could wrap it up in your clothing and put it in the top without the insert, but what you should remember is that the insert doesn’t have to be all camera gear. 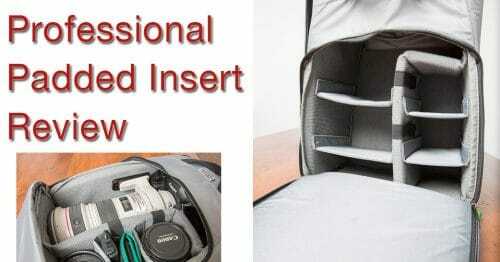 You can remove most of the dividers and still put clothing and food in there as well, whilst at the same time securing that one extra lens or flash. For $44.99, if you have more than two lenses then I think you should also own the padded insert. 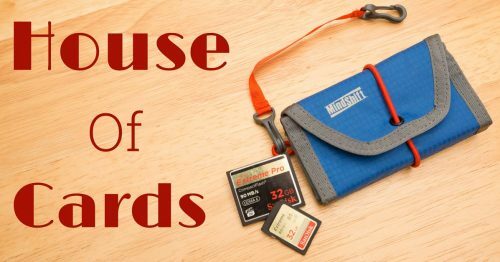 It also makes excellent storage for your gear at home. I use inserts like this in my office to organize my gear and then I can quickly grab one and drop it right into the bag, ready to go. So what else could you fit in this insert? Well it’s also big enough to fit a strobe system of equivalent size to a Paul C Buff Einstein with a Li-Ion Vagabond battery pack and a couple of Pocketwizards. This is a combination of gear that I’ll be using a lot for my skiing assignments. Flash kit up top, camera along with 24-70 and 70-300 down the bottom. All tucked up in a sleek pack that doesn’t put the weight out too far away from my spine. Important when doing active sports like skiing and biking with the bag. Hopefully that has made things a little clearer for you. If You’ve found this to be useful then you might want to check out my other articles about Mindshift Gear by following the button below where I have reviewed every single product that Mindshift makes! What’s the Best Camera Bag for Mountain Biking? WIN a MindShift FirstLight photo pack!